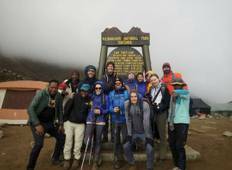 Explore a varied offer of budget christmas & new year tours that will take you through some of the most renowned destinations such as Moshi and Horombo Hut. Each affordable tour will provide you with memorable moments for some of the lowest prices on the market. "Debra and her assistant. 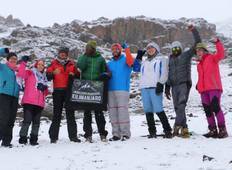 where fantastic in organising our climb up Kilimanjaro...."
"We just returned from doing the 6 day Kilimanjaro Marangu route with Kilimanjaro..."
"We had such a fun time. We were told that Umbwe is tough but we endured. Guide and..."
"From beginning to end a great experience. Professional, skilled, ethical in every..."
"Well organized. Food on the mountain was really good. The guides very knowledgeable..."